As an audio/video professional, you know that when the action starts, there’s no time for second-guessing — you and your gear must be ready to go, and you either act with confidence or risk losing the shot. Features robust 9mm casing and high compatibility with your cameras, recorders, and players. As an audio/video professional, you know that when the action starts, there’s no time for second-guessing — you and your gear must be ready to go, and you either act with confidence or risk losing the shot. 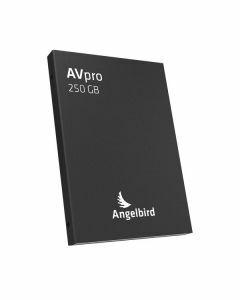 The Angelbird AVpro mkII SSD was built from the ground up with your trust in mind. Designed and precision-manufactured in Austria to demanding specs, the AVpro mkII is purpose-built to deliver blazing-fast read/write performance and rock-solid stability. And it’s ready when you are — every time. Certified by Atomos and Black Magic Design for all of their SSD-compatible products, highly recommended by Atomos, and tested with most market-leading video and audio SSD-compatible products, the Angelbird AVpro mkII is perfect for media professionals who require SSD speed and worry-free reliability. Do your job with confidence and with one less thing to worry about.